Be a part of the action! 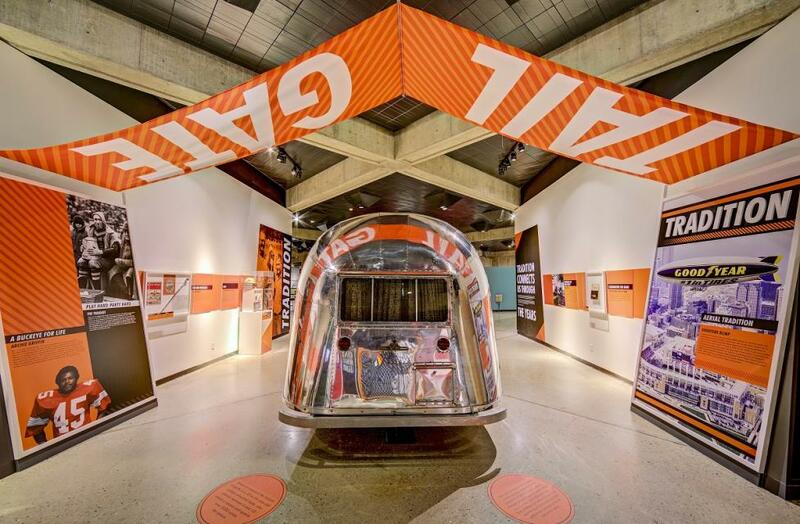 Sprinkled throughout this three-story display, are interactive elements for kids and parents alike to add their personal touch to the exhibit. 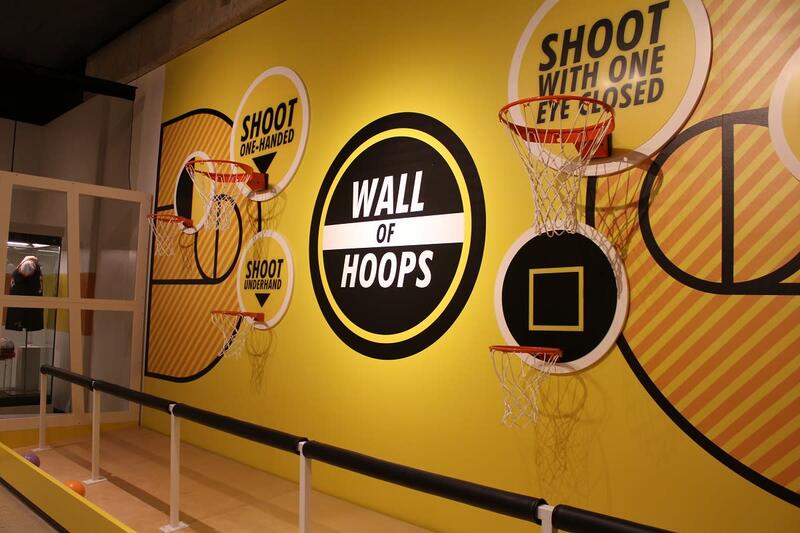 Test your skills on the Wall of Hoops and see how many baskets you can make. Record your own victory dance to share with your friends. Create your own obstacle course to sharpen your agility. Also, keep an eye out for Champ, the exhibit mascot, for a meet and greet and snap a sports selfie! Turns out there’s more to sports than winning and losing. 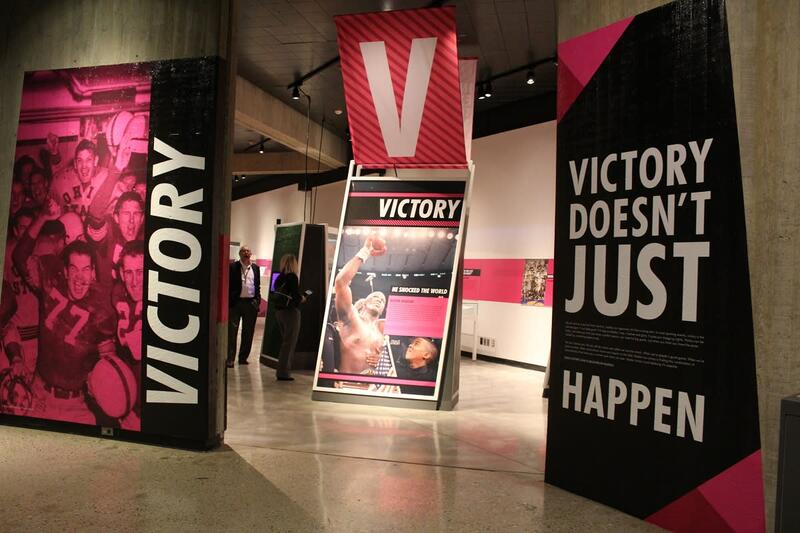 Visitors can explore the five themes present in every game: character, adversity, innovation, identity, tradition and victory, while walking through the exhibit. Hear more than 30 oral histories from athletes, coaches, owners and fans as they share their personal experiences with Ohio sports and its participants. Hear from basketball player, Katie Smith about her first Olympic Games or get the inside scoop on Jesse Owens from his daughters Marlene and Beverly. Yes, it’s true. 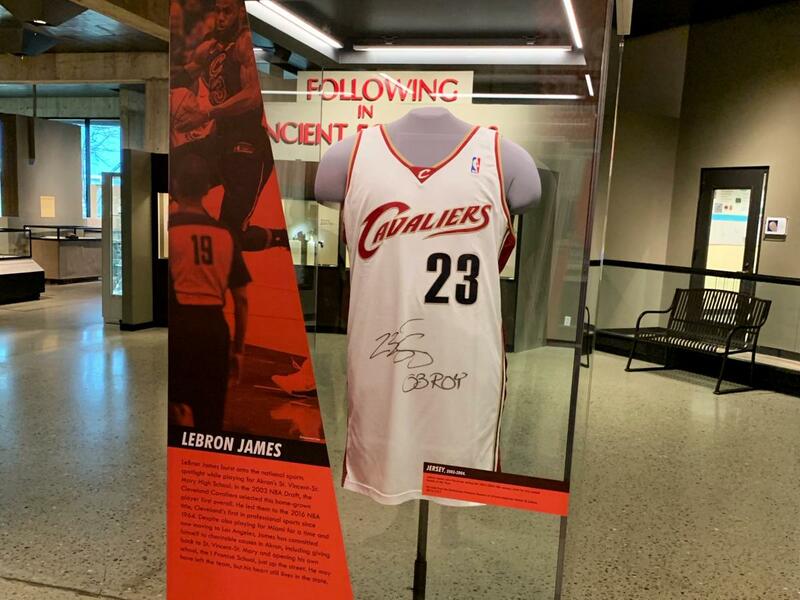 Lebron James’ signed rookie jersey is on display at the Ohio History Center. On loan from the Smithsonian Museum, this piece is located in the Identity Section of the exhibit through September 2019. The jersey is not the only exciting artifact on display in this exhibit – visitors can also view the Illibuck Trophy, a wooden turtle awarded to the winner of a football game between the Ohio State Buckeyes and the Illinois Fighting Illini and the jersey of Cincinnati Reds baseball legend, Pete Rose. 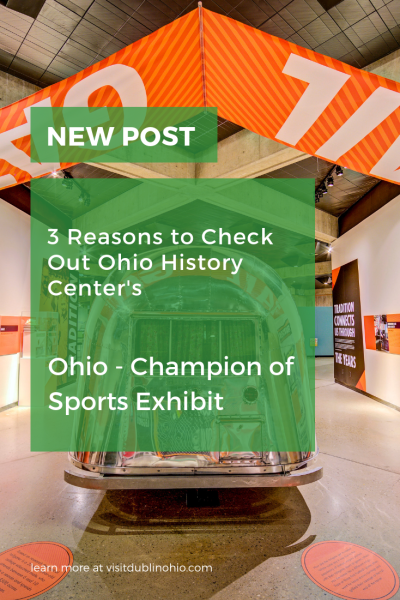 This exhibit runs through September 2020 and is only a short drive from Dublin - so victory-dance on over to the Ohio History Center to be part of the action! Hours: Wednesday – Sunday, 10:00 am – 5 pm. Admission: Adult - $12, Senior (60+) and College Student, with school ID - $10, Youth (4–12) - $6. Parking is free and abundant. Find out more information at OhioHistory.org.